Many people are startled when they see a product that's labeled "gluten-free" but contains wheat grass and/or barley grass. Since wheat and barley are gluten grains, it's certainly fair to ask how their grasses possibly could be considered gluten-free. How Can Wheat Grass and Barley Grass Be Gluten-Free? It may have you scratching your head to see wheat grass and barley grass labeled as gluten-free knowing that wheat and barley are two of the major gluten grains. A gluten-free diet usually means absolutely nothing with wheat or barley, or even anything that could be cross-contaminated with wheat or barley. Well, it's complicated. The truth is, pure wheat grass and barley grass (just the grass, with absolutely no seeds) do not contain gluten, the protein that is thought to cause reactions in celiac disease and possibly in non-celiac gluten sensitivity. That's because gluten occurs only in the grains—for example., the seeds—produced by the grass plants wheat, barley, and rye. Several different brands of multi-vitamins include wheat grass and/or barley grass as ingredients, yet the companies advertise these products as gluten-free. We've also seen products like green smoothies that contain wheat grass and/or barley grass but are labeled or called gluten-free. That said, you need to be certain any supplier is using absolutely pure wheat grass and barley grass to make a product in order for the product to be considered truly gluten-free. This turns out to be much more difficult than it sounds, and at least one expert recommends avoiding these products due to the high risk of gluten cross-contamination. As noted earlier, wheat grass and barley grass in their pure forms are considered gluten-free. But it matters—it matters a lot, in fact—how the grasses are harvested and how products containing them are produced. For example, if a farmer allows some of the grasses to begin producing seeds prior to harvest, then that particular crop will contain gluten. In addition, if a manufacturer of supplements produces gluten-containing products alongside or on the same equipment it is using for gluten-free labeled products, then those products can be cross-contaminated unless special precautions are taken. As you can see, when it comes to the question of whether wheat grass and barley grass can be considered gluten-free, the details really matter. In fact, the details matter so much that they may make this entire question irrelevant. 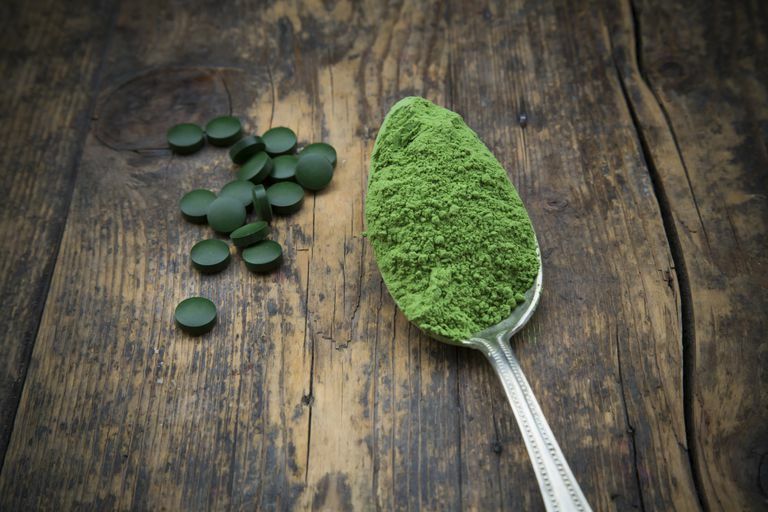 The U.S. Food and Drug Administration, in its finalized gluten-free label rules, has said that wheat grass and barley grass can be used to make foods labeled gluten-free, as long as the finished products contain less than 20 parts per million of gluten. Yes, it's possible to do this, but again, everyone in the production chain will need to take great care to make sure that no seeds are included with the grasses. In fact, dietitian Tricia Thompson, a specialist in celiac disease and gluten-free diet issues recommends avoiding any product containing wheat or barley grass that's not specifically labeled gluten-free. In addition, she also recommends avoiding any gluten-free-labeled product containing wheat or barley grass unless you can verify that it's been tested for gluten cross-contamination with a specific type of test called the R5 ELISA test. Other forms of testing may not produce accurate results since they may underestimate the amount of barley gluten in the product. Despite the sometimes-wild claims for the health benefits of wheat and barley grass, other green vegetables will provide you with roughly the same nutrients or even more of certain vital vitamins and minerals. For example, there's more iron, potassium, calcium, and magnesium in leafy green spinach than there is in wheat grass juice according to the U.S. Department of Agriculture. Wheat grass juice turns out to be a slightly superior source of vitamin E, but spinach and broccoli provide significantly more vitamin C.
In theory, wheat grass or barley grass should be gluten-free, since the gluten protein is present in the seeds and not the grasses. In reality, however, several factors should be taken into account. Depending on the farmer and the particular crop, some of the grasses may have already produced seeds, and therefore the wheat grass or barley grass will have gluten. There is also the risk of cross-contamination involved in the manufacturing process. Finally, the "less than 20 parts per million" rule may not be applicable to someone who is very sensitive to gluten. The bottom line, however, is that there's really nothing in the wheat grass or barley grass that you can't get from other green plants. It may be possible to find a properly tested gluten-free supplement containing one or both of those grasses, but you'd be better off sticking with supplements that don't include potentially risky ingredients and using whole green plants, such as spinach, kale, and chard, to fulfill your nutritional needs. Mazzeo, M., Di Stasio, L., D’Ambrosio, C. et al. Identification of Early Represented Gluten Proteins During Durum Wheat Grain Development. Journal of Agriculture and Food Chemistry. 2017. 65(15):3242-3250.